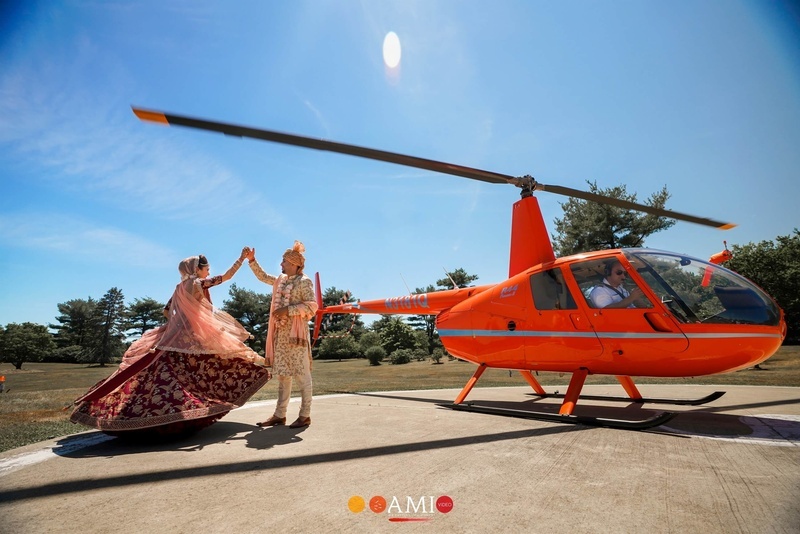 This bride's magnificent helicopter vidaai will make your jaws drop! 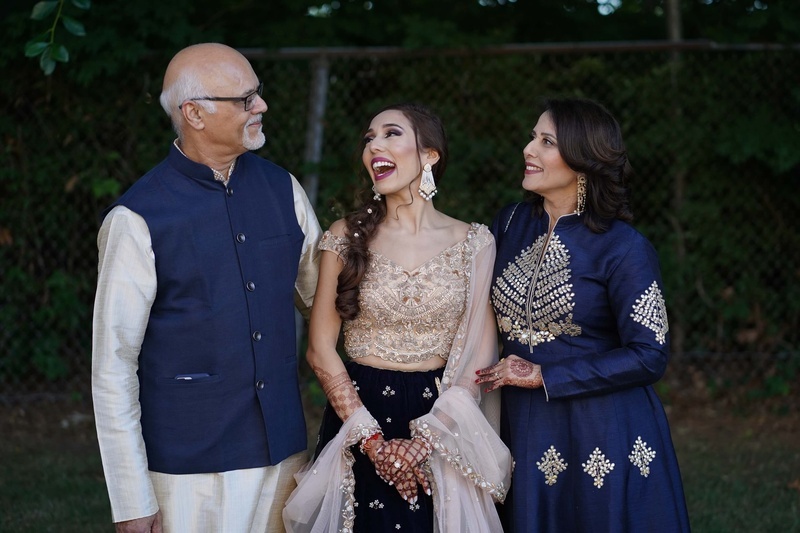 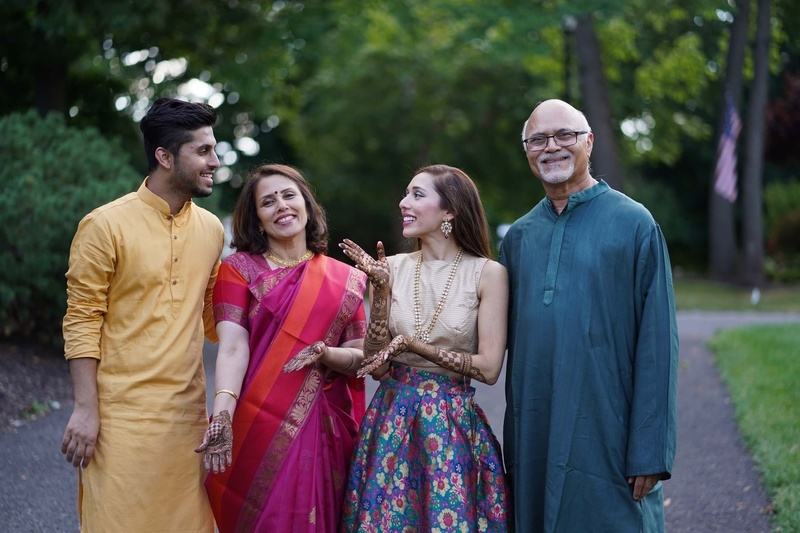 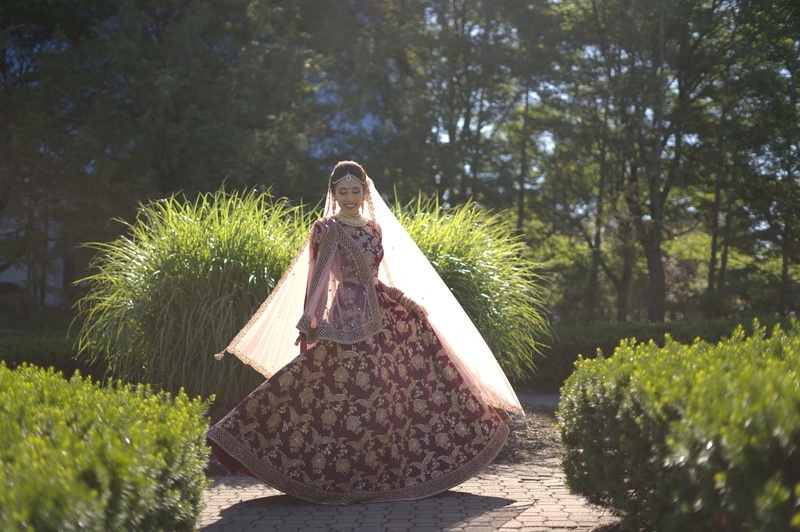 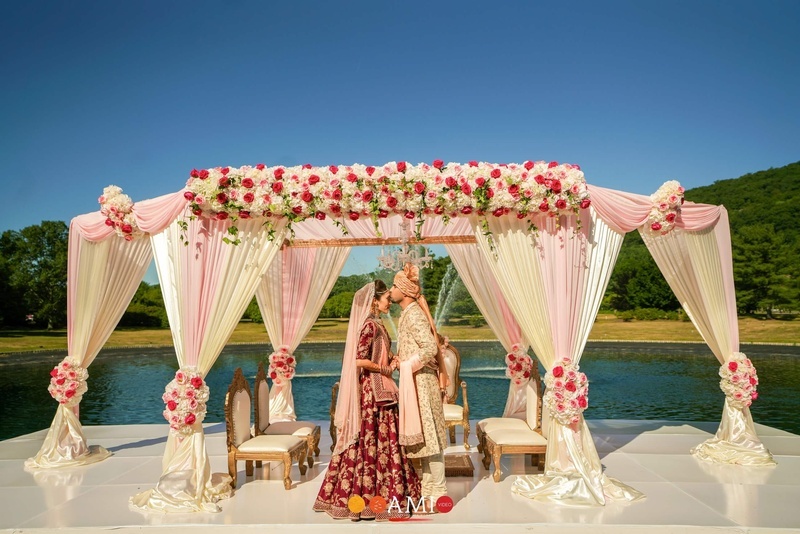 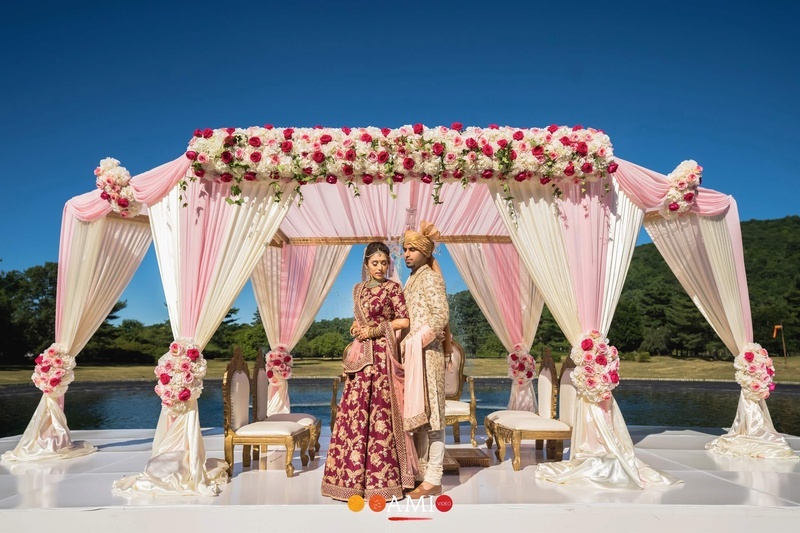 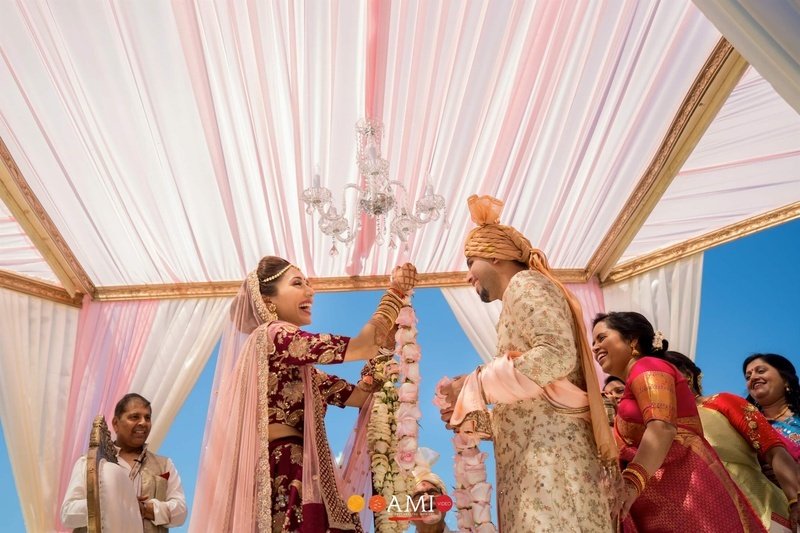 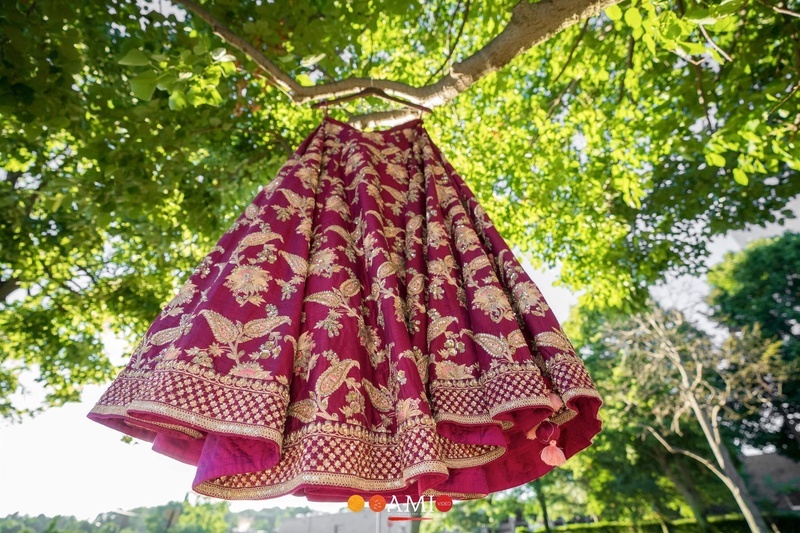 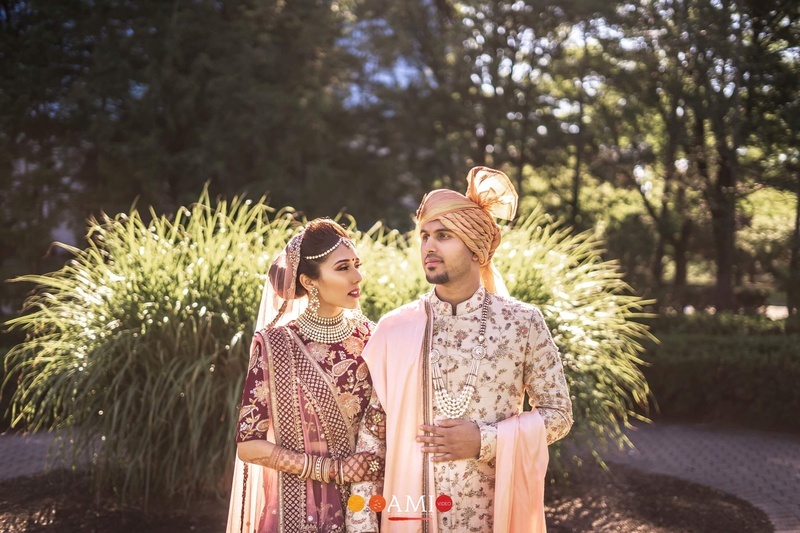 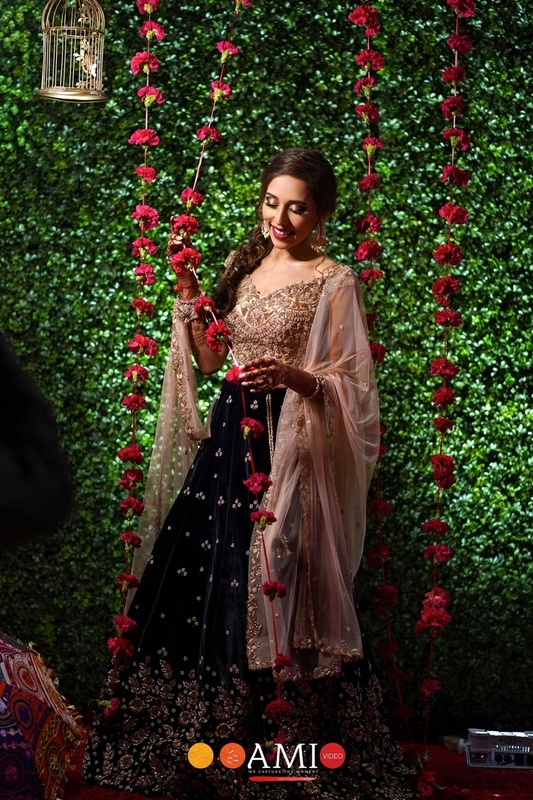 Rashmi and Parth tied the knot in a stunning outdoor wedding at Sheraton Mahwah, New Jersey. 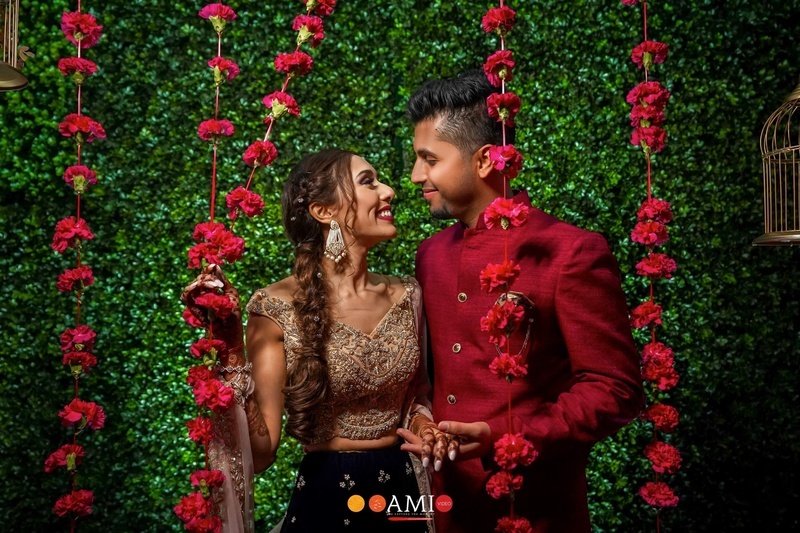 This extremely cute couple have known each other since 5 years and incidentally met each other at their friends’ engagement party. 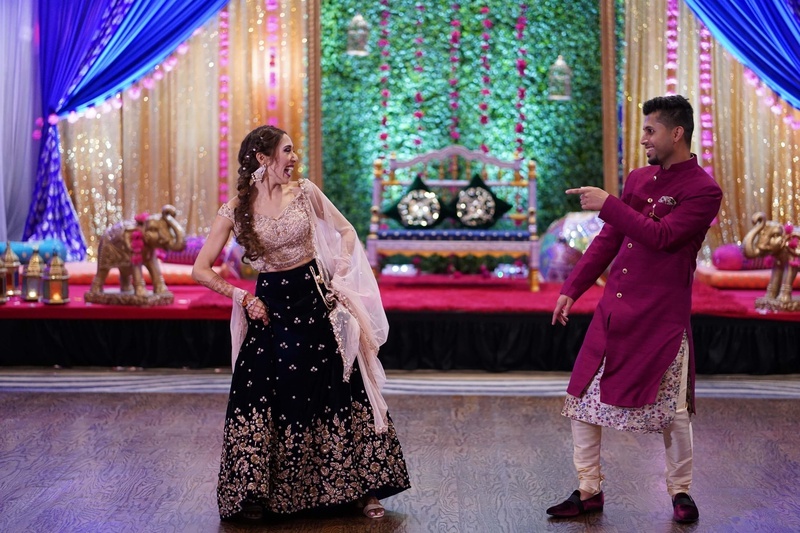 Parth knew he was talking to the girl of his dreams in the first go itself! 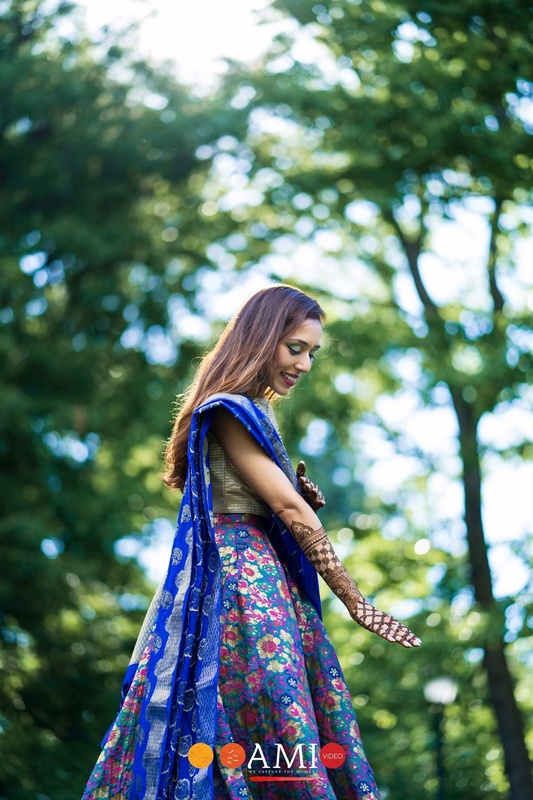 Rashmi wore a chic golden and multi coloured lehenga. 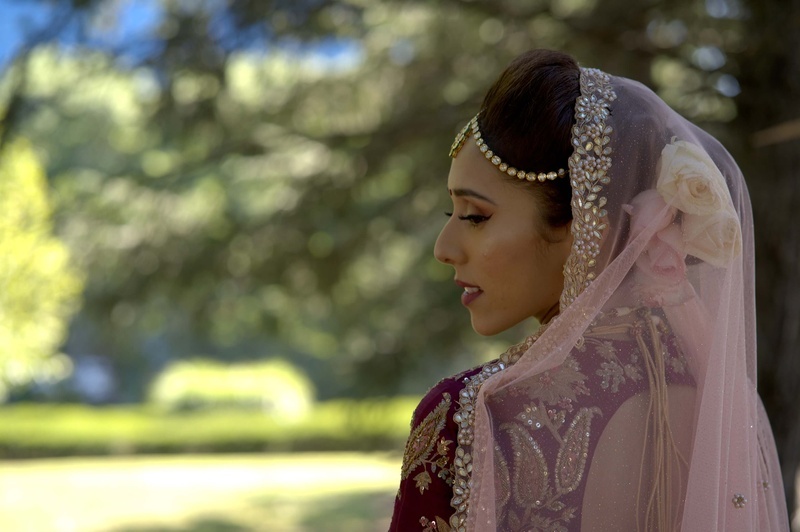 The henna on her hands was intricate and beautiful! 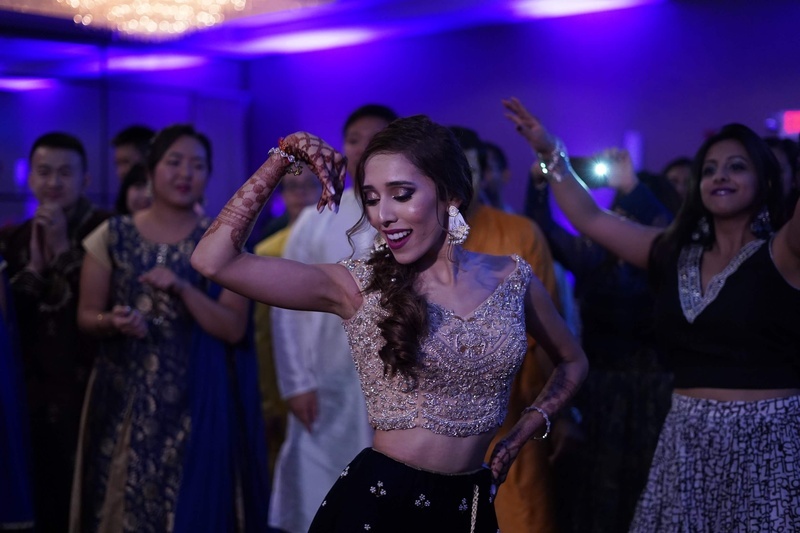 Hailing from a family of professional dancers, Rashmi had no problems in showing off her moves on the dance stage. 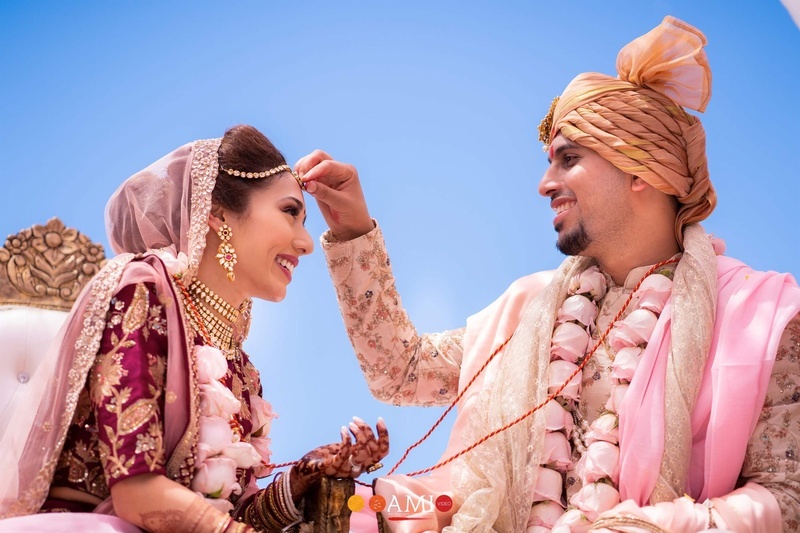 Parth was no less! 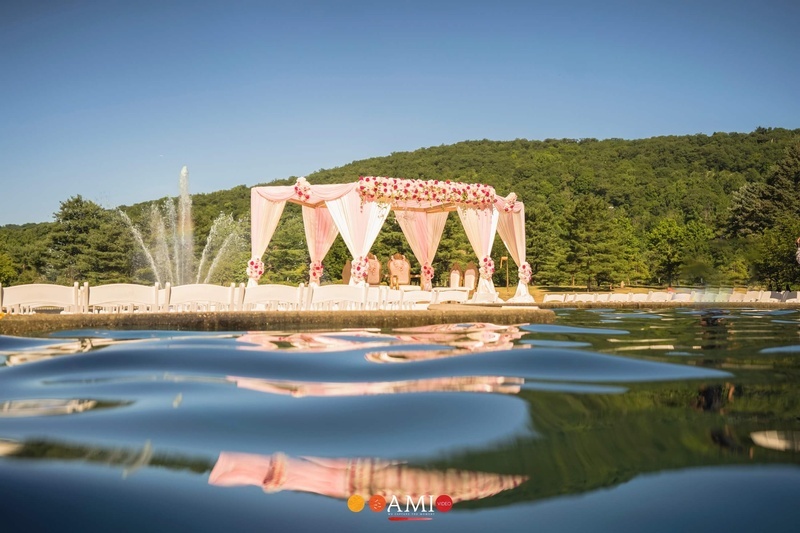 They had a beautiful outdoor ceremony at Sheraton Mahwah. 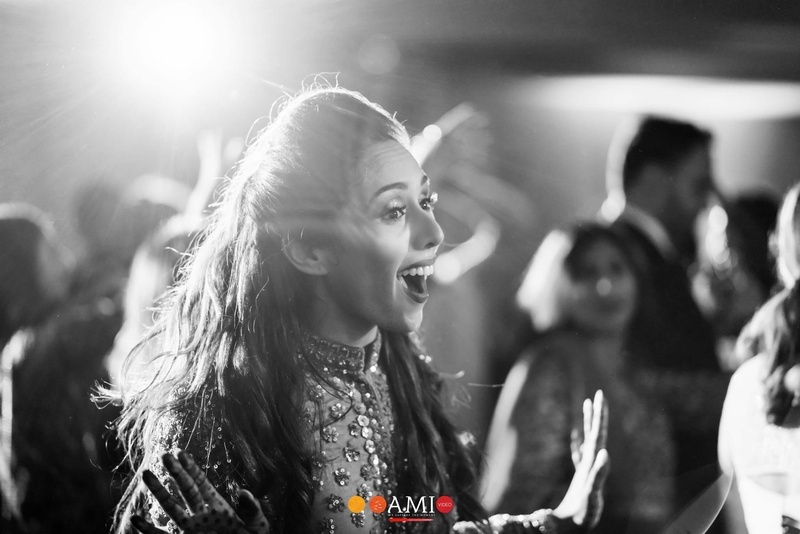 Guess what, she even had a helicopter vidaai! 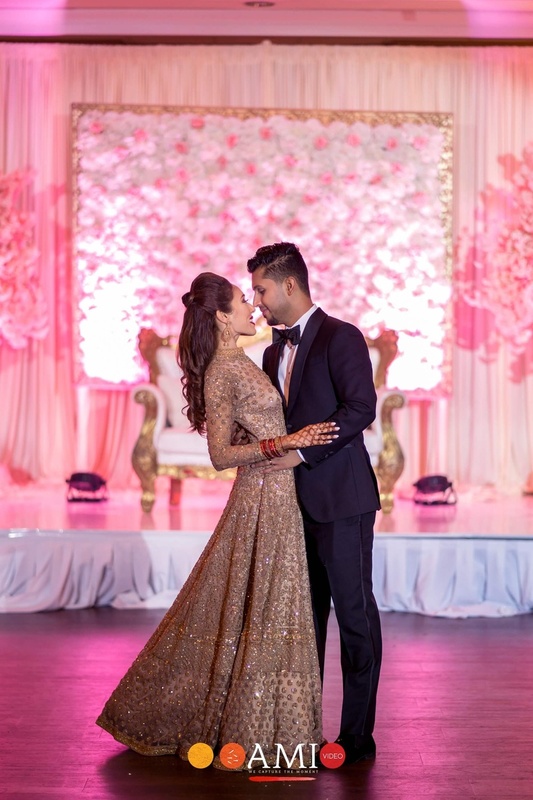 Dressed in a golden gown, Rashmi made heads turn! 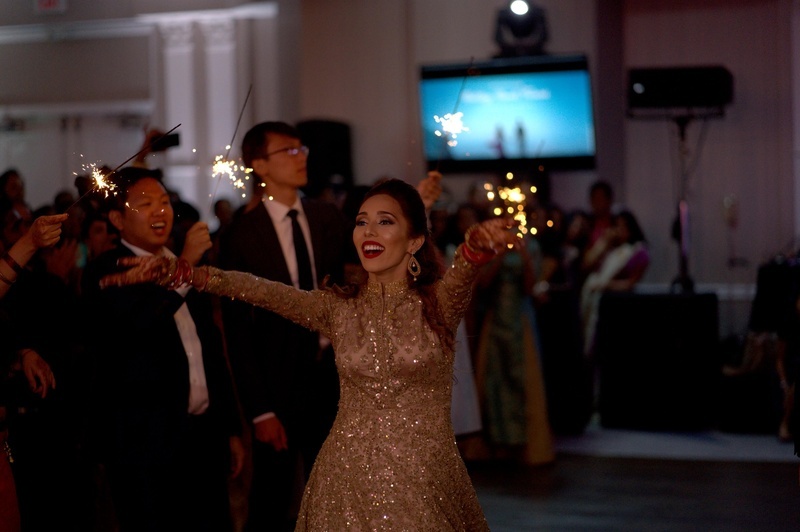 There was a lot of dancing, fireworks and frolic!